We all know that the term ‘dog tags’ relates to the actual army tags that the US Army first started to wear all in order to identify the battlefield casualties for soldiers in the 19th century. However, today’s identification tags are mostly used for pets – to prevent them from getting lost and making their returns a lot easier. The primary benefit of these tags is simple and relates to a missing pet. If your dog or cat gets lost, their ID tag will show where they belong and which number to call. In some countries, collars with pet identification tags must be attached on dogs and cats all in order to make things easier for everyone. So, how do you buy the perfect pet identification tag in 2018? Below, we are listing the best products currently available on the market. First on our list are the GoTags which are one of the best selling pet identification tags over the past few years. 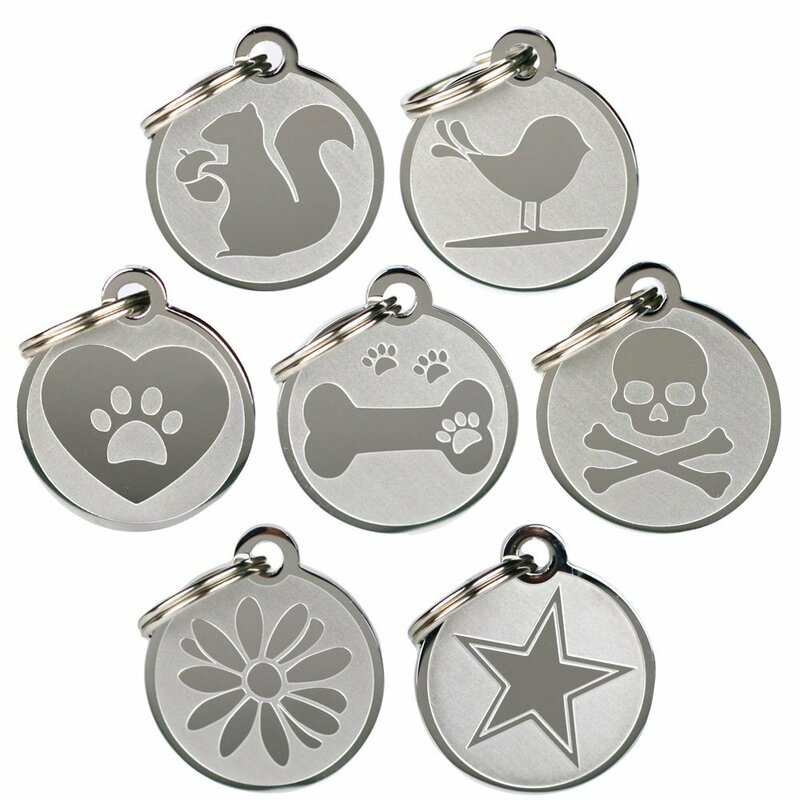 The good thing is that there is a variety of designs to choose from (bird, crossbones, dog bone, flower, heart, squirrel, star) and the fact that these engraved pet ID tags are made of thick stainless steel. As such, the pet ID tags are made to last and help you personalize your pet. Thanks to the laser engraving technology, you can rest assured of having a dog or cat with the perfect identification tag. 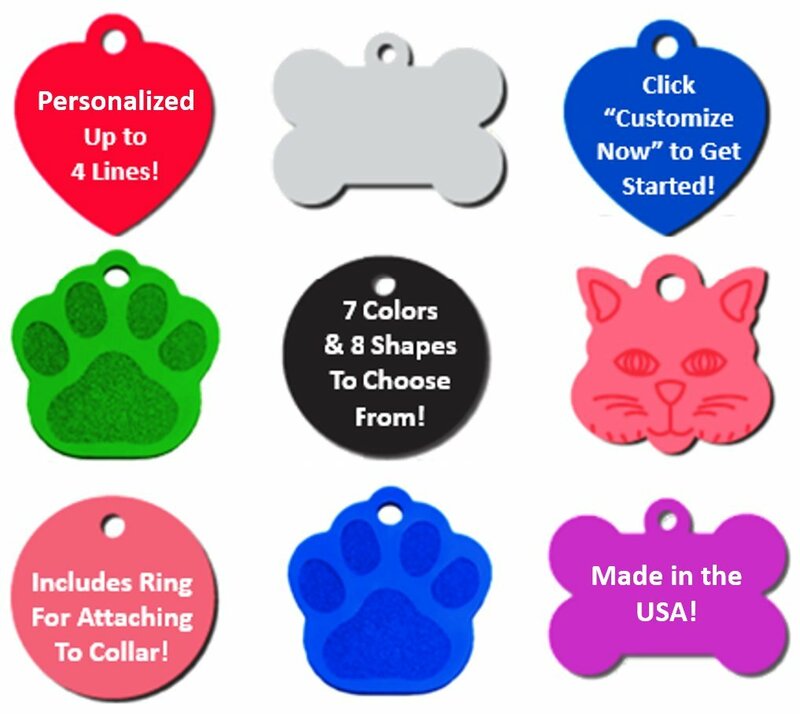 Al you need to make an order is to choose one of the design options and start customizing your pet ID tag. 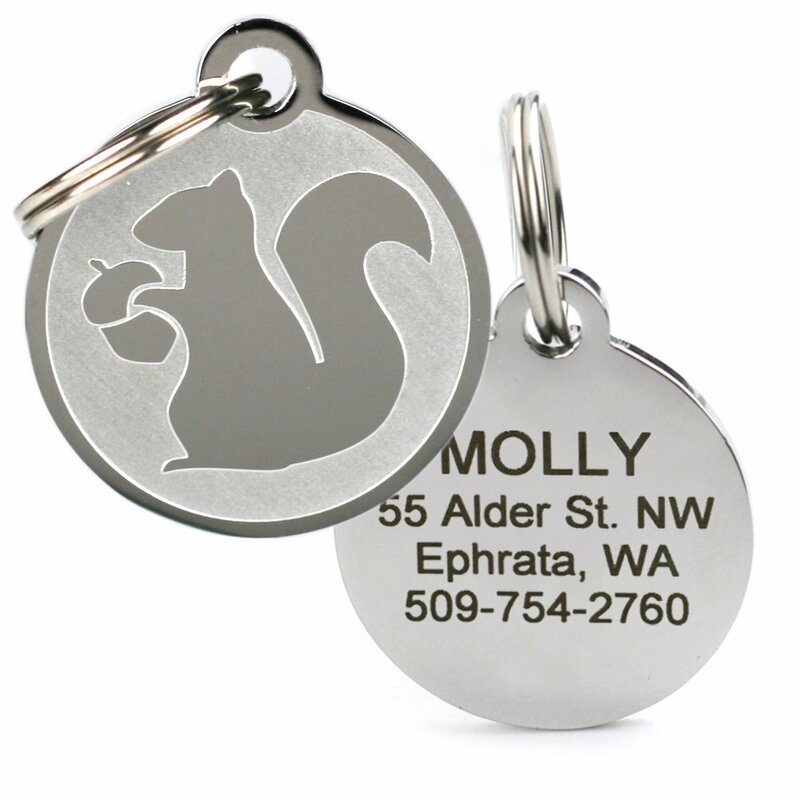 These premium quality anodized aluminum pet identification tags are perfect for dogs and cats. 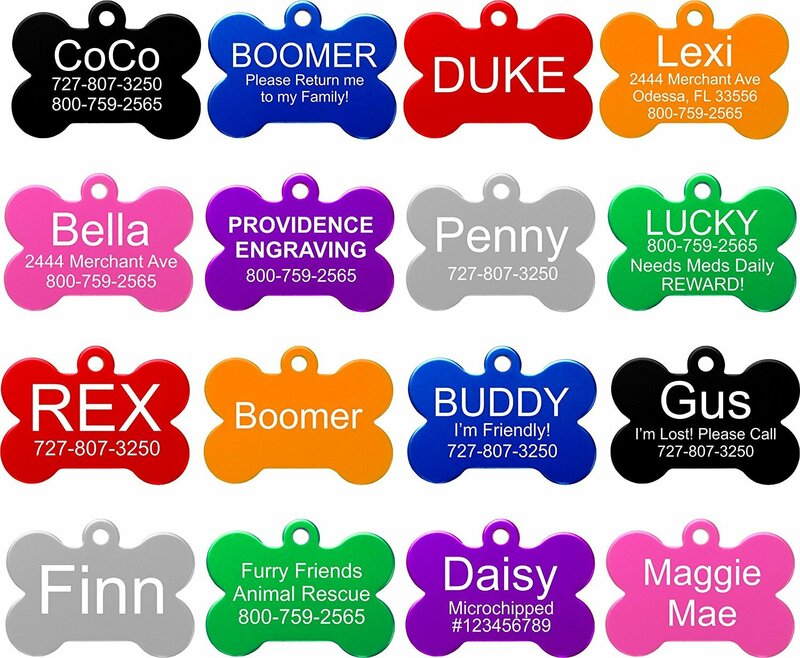 The company behind them, Providence Engraving, is a well-known manufacturer of the ‘best colorful pet ID tags’ according to customer reviews. So, the reason why these may stand out of the competition is obvious. They come in different colors and shapes and can be customized to your needs. You can choose from a star, a bone, a cat, a circle or a diamond-shape pet ID tag and customize it with your pet’s details. The good thing is that you can add up to four lines of custom text on each side. However, the manufacturer recommends engraving on one side only as the best option. The colors available include Blue, Red, Pink, Green, Gold, Silver, Black and Orange. If you are looking for the best pet identification tags, this is another product to consider. As the manufacturer claims, these tags are personalized and approved by veterinarians. They can fit up to 4 lines of text and up to 18 characters per line which is great for longer addresses and pet names. 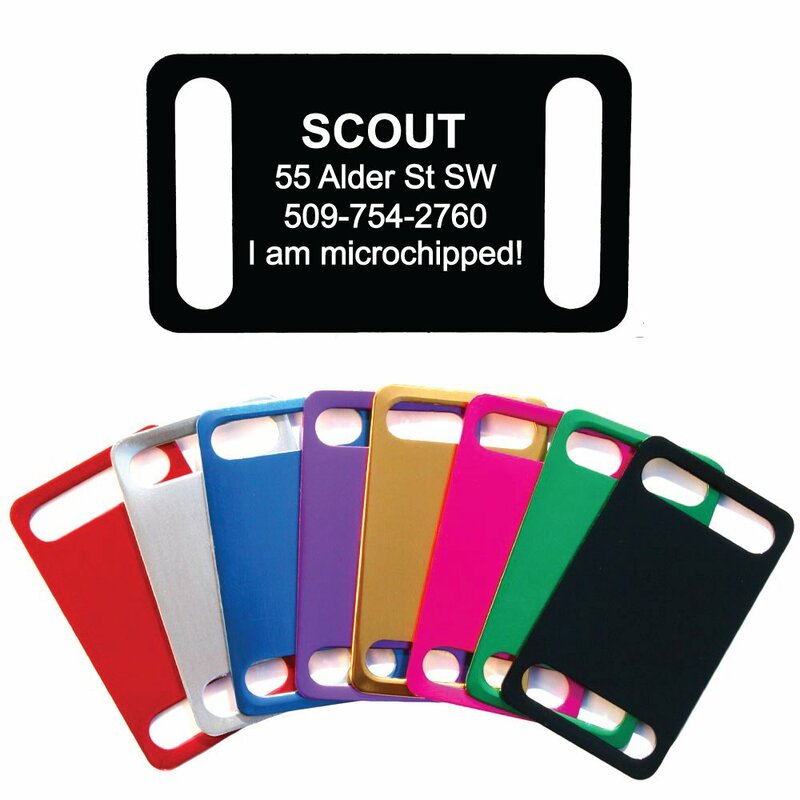 Each of the tags ordered includes a free split ring for attaching the tag to your pet’s collar. They are perfect for dogs, cats and other pets. The best part, however, is the fact that they won’t cause pain or push against your pet when it sits, lies on the floor or moves. 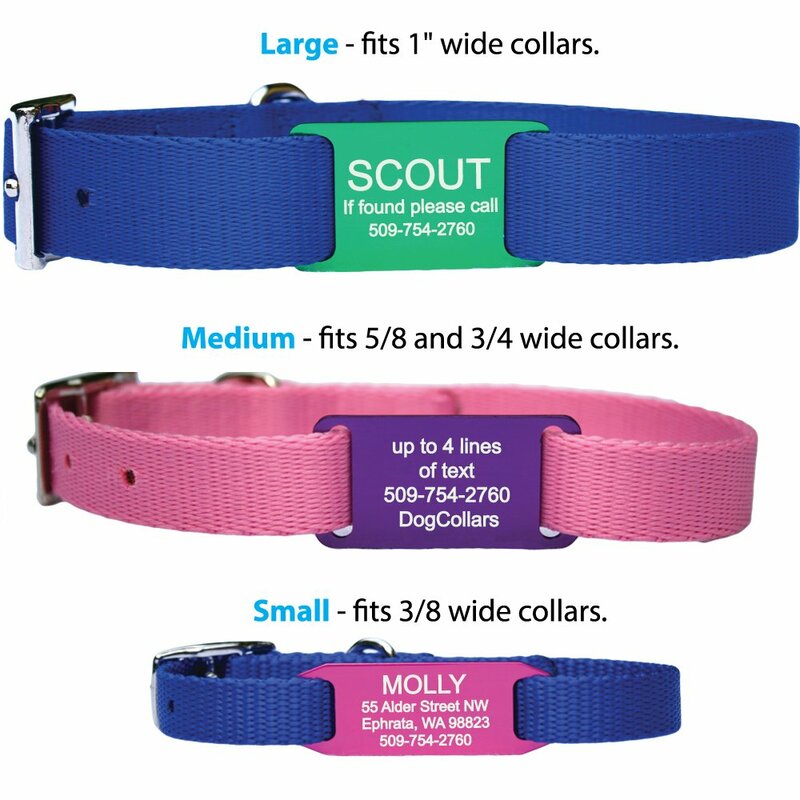 If you want to personalize both sides of your pet identification tags, this is a product for you. There are six main designs – Bone, Heart, Military, Paw, Round and Star – and you can customize them easily. 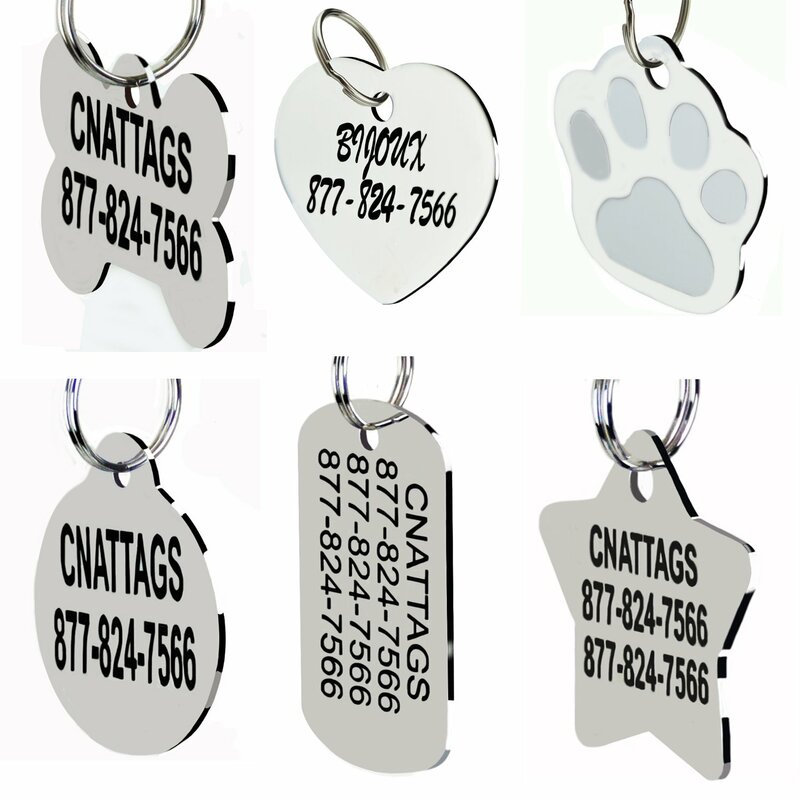 The fact that these pet ID tags are made from stainless steel makes them long-lasting. The polished mirror-like finish is also great and the set includes a split ring for easy attaching. All you need to do is choose the design you want, customize and make an order. Last on our list are the No Noise collar tags for pets which are custom-engraved as well and come in a variety of colors. There are eight colors to choose from and three main sizes (Small, Medium and Large) for different pets. This makes them pretty universal and functional. However, the main reason why more and more pet owners are buying this product is the ability to slide onto the open in any single nylon metal buckle collar. As such, they are not hanging but are actually attached on the collar. You can add up to 4 lines of personalized laser-engraved text. In the end, the best part about buying pet identification tags is the fact that you can always ensure that your pet is properly introduced to the founder. On top of this, they make a perfect accessory for them and are sleek and stylish. It is up to you to choose the pet ID tag that you like the most. We hope this list helped you make the right decision!